As a research professor in the field of nutrition and dietetics, I am convinced that findings from our work, along with other published evidence, show that the concept that dietary fat is “toxic” is very much outdated and misguided. While not all fats are alike, they do share some things in common. They provide energy with approximately nine calories per each gram of fat, they are all broken down during digestion by enzymes in the gastrointestinal tract, and they are well absorbed as fatty acids or chains of hydrogen and carbon. In some instances, the carbon molecules bind to other carbon molecules. In others, they bind to hydrogen molecules. You likely have heard names for these two types of fats—unsaturated and saturated. Unsaturated fats are those in which carbon molecules bind to other carbon molecules. Saturated fats are those in which carbon molecules bind to hydrogen molecules. Within the two broad types of fat, there are differences still. 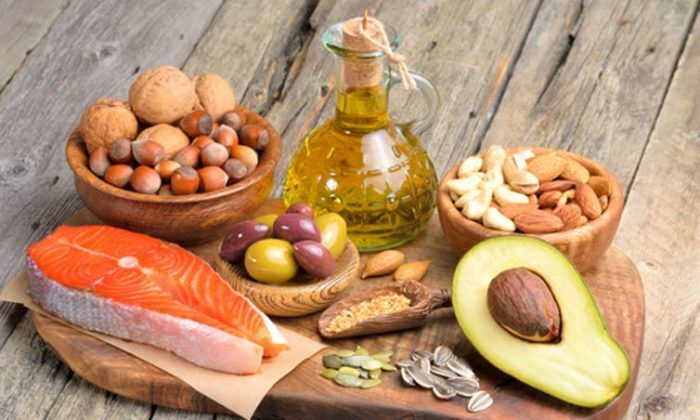 Among the unsaturated fats, there are those that are mono-unsaturated and have one unsaturated carbon bond, which is found in olive oil and certain kinds of nuts, and there are those that are poly-unsaturated and are found in such foods as walnuts, plant oils, salmon and sardines. We also have learned that different kinds of saturated fats affect the body in different ways. For example, the 12-carbon lauric acid, 14-carbon myristic acid, 16-carbon palmitic acid, and 18-carbon stearic acid are all saturated fats. But, stearic acid does not increase LDL-cholesterol levels like the other saturated fats. While these differences are not new, the understanding of their effects is new, mostly due to findings from more recent studies. Because heart disease has been the leading cause of death in the United States since the 1930s, the Nutrition Committee of the American Heart Association in 1968 recommended reducing total and saturated fat intake. The emphasis on lowering dietary fat intake was advanced further in 1977 with the publication of the first Dietary Guidelines for Americans by the Senate Select Committee on Nutrition and Human Needs. Health care professionals in turn shifted their nutrition counseling efforts toward encouraging a low-fat diet. And, the food industry began to develop and produce of a wide-ranging assortment of “low-fat,” “reduced-fat,” “light,” and “fat-free” items. In the mid-1980s, advice to consume a low-fat diet also became a strategy for weight control. Evidence from the landmark Framingham Heart Study uncovered that obesity increased the risk for heart disease, and national data showed that the entire population was getting heavier. Based on this balanced moderately-high fat diet approach, my research team developed a 14-day cycle of menus comprised of three meals and two snacks per day that increases intake of foods high in the 18-carbon monounsaturated fat, oleic acid, and the 18-carbon and longer chain polyunsaturated fats (more commonly known as omega-3 and omega-6 fatty acids). To do this, we replaced high simple carbohydrate snacks with nuts, we replaced croutons in salads with avocado slices, and we used salad dressings high in safflower oil, canola oil, and olive oil. We have been studying the effects of this balanced moderately high-fat diet in adults who are overweight or obese. In a study with 144 women over a period lasting 16 weeks, we found that study participants had significant reductions in abdominal fat and waist circumference; a 6 percent improvement in blood pressure; reduced blood levels of markers of inflammation; and overall a 6 percent reduction in their five- and 10-year cardiovascular risk. Study participants reported that they found our diet to be highly palatable, satisfying and economically, feasible to adhere to. The firm adherence to our balanced moderately high-fat diet in the four-month study was reflected by significant changes in participants’ plasma fatty acid profiles (the array of saturated and unsaturated fats in the blood) that reflected the fatty acid composition of the diet menus. In a follow-up study using a more in-depth analysis of the lipid response to the balanced moderately high-fat diet, we found a difference in response between Caucasian females and African-American females. While the Caucasian females had improvements in serum triglyceride and LDL-cholesterol levels, African-American females had the most significant improvement in HDL-cholesterol levels. These data support the concept that not all people respond to a dietary approach in the same way and there is no one optimal diet for all people. Heidi Silver is an associate professor of medicine at Vanderbilt University. This article was first published on The Conversation.